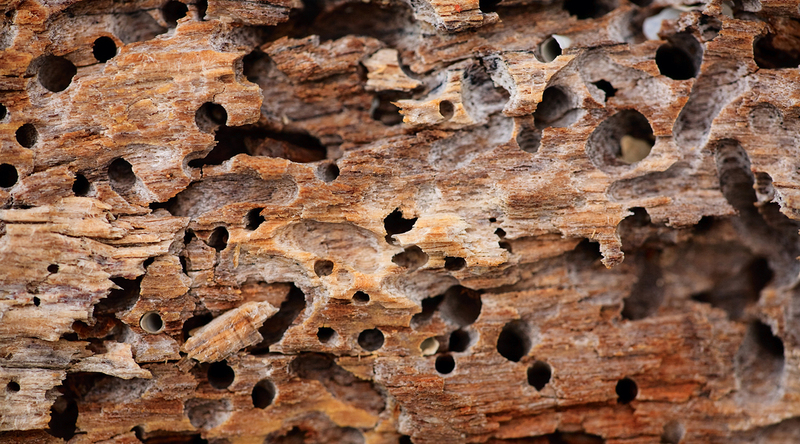 Termites are structural pests that are a threat to any structure that is made of wood. If left untreated, termites can and do destroy entire buildings. Their food source can be your home, deck, cabinetry, lawn furniture, etc. 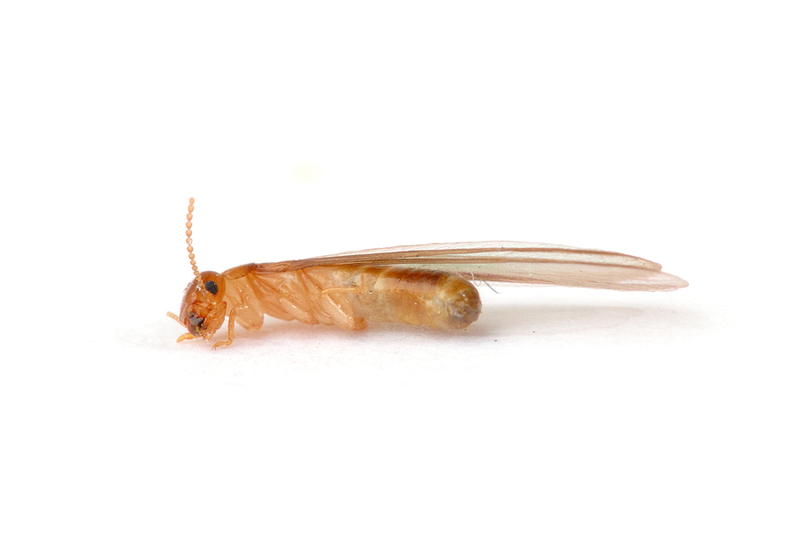 Termite species fall into three categories: dry wood, damp wood, and subterranean termites. Dry wood and damp wood termites live in and feed on wood, while subterranean termites live underground and feed on wood. Each year, more homes are damaged by termites than by flood or fire. Typical termite colonies will eat about one pound of wood in a year. That’s roughly an entire six inches of a “2×4” piece of wood. If there is moisture in the wood, the damage will be greater and swifter. Termites will feed on any part of your home that is made of wood. They will also attack and infest lawn furniture, decks, and sheds. The number of termites in one colony can range from a few hundred to a few million. So, if you suspect you have a termite problem, it is very important to handle it right away. Termite colonies can have more than one queen. If you kill off just one queen, the secondary queens will take over and continue the colony. All termites eat wood, paper, and other fibrous materials and they are constantly foraging for food. In nature, they live and nurse their larvae underground and in damp, rotting wood. They can be found in forests, tree stumps, stored firewood, bushes, tree roots and dying parts of living trees. Subterranean termites stay underground and access your home from tunnels around its foundation. Termites are fond of feeding on floors, yard furniture, window sills, door jams, posts, beams and siding of any home. Damage from termites can sometimes go undetected until considerable damage takes place. So, you may have had termites for some time without even knowing it. Richie “The Bug Man” Bozarjian, proprietor of Bozarjian Pest Control, will inspect your home to confirm your pest problem is termites, then go over specific treatment options. Perimeter Treatment: We treat the outside of your home with a safe product that is used at the perimeter of your home with Termidor, a potent insecticide formulated to eliminate termites on contact. This insecticide is safe and effective and is injected into the soil surrounding your home. It is children and pet-friendly and the best product used in cases of termite infestation. 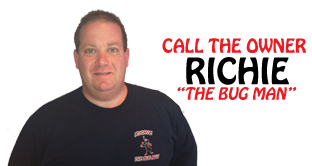 Prevention Tips: Richie “The Bug Man” Bozarjian takes pride in sharing simple tips that can help a homeowner discourage termite infestations from recurring in the future. After the initial treatment phase, here are four simple things a homeowner can do to prevent carpenter ants from returning: Clear damp and rotting vegetation that may be collecting in your yard. Seal cracks and crevices in your foundation. Replace any water-damaged wood in your home. If you suspect you have a termite infestation in your home, call Richie “The Bug Man” Bozarjian at Bozarjian Pest Control today, 781-350-4170. We’ve been providing safe and reliable pest control to Boston and the North Shore since 1988 and we are trusted as the pest control service provider for North Shore Community Housing Authority.